Humans have been enamored with the majestic beauty of white lions and white tigers for decades. But the fact is that these big cats are actually products of a rare recessive mutation who suffer from a host of genetic issues and physical ailments because of their striking white coats - a reality hidden from eager visitors by many zoos and pseudo-sanctuaries. So, what's the real truth about white tigers and lions? White lions and white tigers are not endangered species. They are valued as objects for their rare coloring and blue eyes. 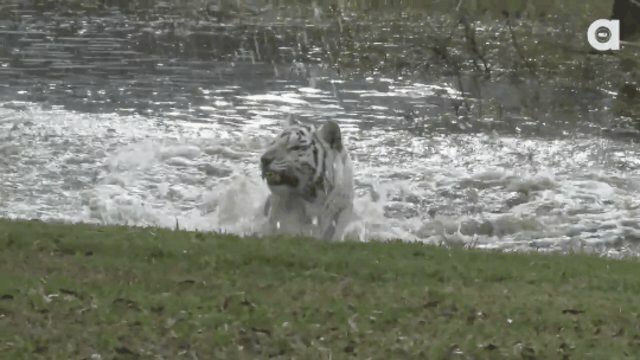 These big cats' genetic mutation is not albinism but leucism, which means that all or parts of their skin and fur produces no pigmentation at all. Unlike albinos, these leucistic animals do exhibit pigmentation in their eyes, and blue eyes are the ultimate prize because they make the big cats so much more striking. But this beauty comes at a high price: the genetic mutation that causes leucism in lions and tigers is so uncommon that these white cats can only be (somewhat) reliably produced in captivity by inbreeding generations of lions or tigers with the recessive coloring mutation. This genetic mutation is rare for a reason. 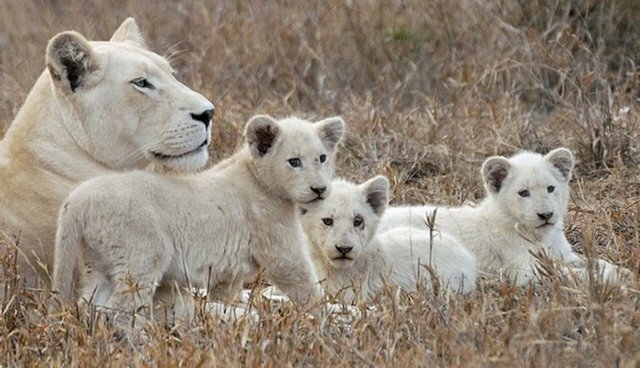 The odd cub born with leucism is at an evolutionary disadvantage because its ability to camouflage itself to hide from predators and prey has been devastated. This is why white lions and tigers are so uncommon in the wild: they often die young, either from a failure to be an effective hunter (or to escape one) or from a number of health problems that are linked to leucism. White tigers and lions are bred for entertainment, not conservation. A variety of birth defects are associated with the allele for leucism, including crossed eyes, cleft palate, spinal deformities, club foot, immune deficiencies, heart and kidney defects, hip dysplasia, hind-limb paralysis and mental disabilities. The practice of inbreeding generations of lions and tigers to produce leucism makes all the offspring (not just the rare white ones) more likely to suffer from this myriad of congenital illnesses and defects. For example, all white tigers are cross-eyed, even if their eyes appear to be fine, because the same gene that causes leucism also wires the optic nerve to the opposite side of the brain. In addition, inbreeding increases the chances of stillbirths and infant mortalities, especially with further inbred generations. According to Big Cat Rescue, about eight in 10 white tigers die from inbreeding-related birth defects, and even the survivors tend to exhibit severe deformities and die young. 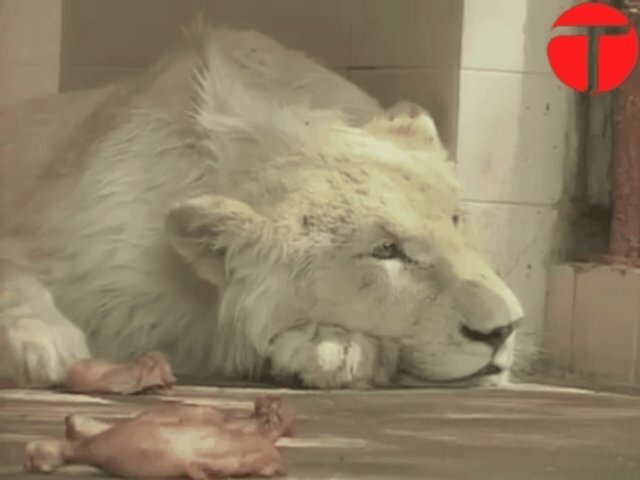 Because they are so heavily inbred and almost always documented in captivity, white tigers and lions are also more likely to suffer from depression, like the above white lion held captive at the Karachi Zoo to attract more visitors. Rare big cats are exploited by fake sanctuaries and irresponsible zoos. 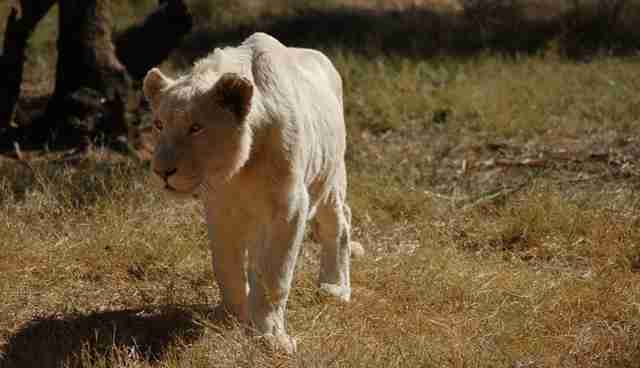 White lions and tigers are used for "canned hunting." Some zoos and wildlife parks have been found to purchase their white cats from breeders known to offer "canned hunts," thereby supporting this practice. Trophy hunters will reportedly pay tens of thousands of dollars or more for the experience of shooting a captive white lion. White lion trophies can be worth as much as $165,000 since the South African government has preserved the practice through a loophole that bans canned hunting but excludes lions. 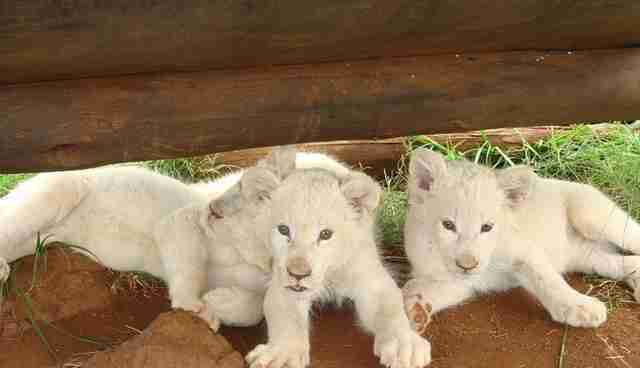 Because people can and will pay for such an experience, breeding operations exist to produce white lions to be penned into small enclosures and shot, often by inexperienced hunters who exacerbate the cats' pain and trauma. Find out more about Linda Tucker's campaign to end canned hunting in South Africa. Since 2011, the AZA has banned all breeding of white tigers and white lions. The Association of Zoos and Aquariums (AZA) published a white paper on the subject in early 2012 in which the organization laid out the consequences, not just for individuals but for the species as a whole, of breeding white lions and tigers. 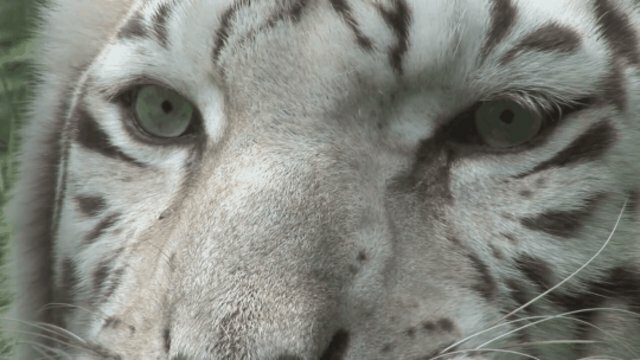 The AZA declared that, effective June 2011, member institutions are banned from inbreeding to produce rare genetic traits like leucism, following an informal request in 2008 for members to stop breeding white tigers. The organization noted, "Selection for specific traits will hasten a population's loss of gene diversity, lead to higher inbreeding levels more quickly, and create a domesticated form of the species that no longer represents or resembles the wild population." If you want to learn more about big cat conservation efforts, check out The Wildcat Sanctuary and Big Cat Rescue, whose rescue tigers were featured in this post. 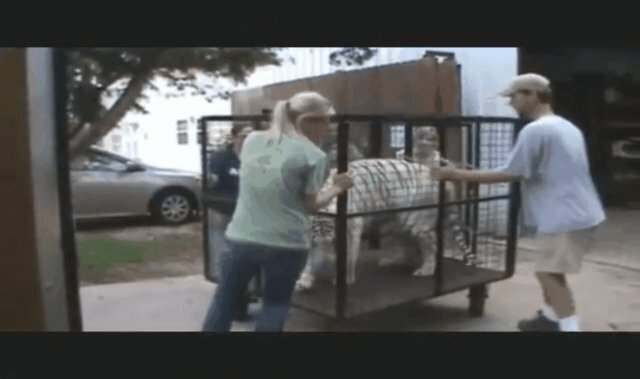 They rescue white lions and tigers from abuse and exploitation, but they don't breed them. Find out more about "adopting" a big cat on behalf of yourself or a loved one.